In only a few short years Transition has gone viral and an international network of Transition initiatives has rapidly grown as cities, islands, towns and rural villages experiment with the process. 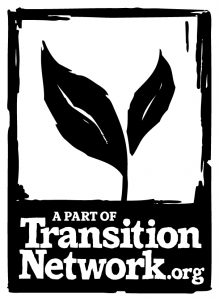 Thousands of Transition initiatives now exist and are collaborating to radically reduce their carbon emissions while at the same time developing their resilience to cope with an uncertain future. Transition is a process that offers pathways, new ways of thinking and a set of tools that could help us respond to the shocks that we face. The Transition model helps communities come together to develop the capability to provide most of its essential needs—food, energy, water and raw materials—from a number of local sources. The model ensures that in the event of a system failure, communities can look after themselves. One of the most striking characteristics of Transition initiatives is their positivity and creativity; the process is purposely designed to be non-threatening and engaging, so people feel at ease to explore different ideas and approaches. Three months ago the Cloughjordan ecovillage, the latest Irish Transition Initiative, was visited by Seamus Boland, the local representative of the EESC, as part of the judging for the Civil Society prize. Davie Philip, a resident of Cloughjordan and a catalyst for Transition in Ireland and Europe, gave Seamus a presentation on a number of Irish Transition Initiatives. The EESC member was also given a short presentation and tour of the ecovillage as well as a visit to Cloughjordan Community Farm, the Wood Fired Bakery, the eco-hostel, the research and learning gardens, the We Create green enterprise centre and other community livilihood projects based in Cloughjordan such as Local Switch. Earlier this year the rural village of Cloughjordan in North Tipperary won the national Green Community award and was voted the second best village to live in Ireland in the Irish Times. The Ecovillage is a neighborhood in the centre of the village. It features 50 high-performance green homes, over 20,000 newly planted trees and the country’s largest renewable energy district heating system. allotments and orchards, as well a community-supported agriculture scheme, provide food for the community and a range of new businesses have been established, including an award-winning wood-fired bakery. The ecovillage is fast becoming a destination for learning, and provides an excellent focal point for transition initiatives. The overall objective of the EESC Civil Society prize is to reward excellence in civil society initiatives and to celebrate the achievements of civil society organisations which have had the ingenuity to develop projects that have had a positive impact on Europeans’ lives. This prize is recognition for the work of so many people in hundreds of European local communities who are developing low carbon futures and livelihoods which promote wellbeing for all in the community.